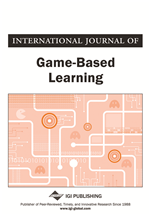 This paper describes how a gamified rewards and penalties framework was used to increase attendance and engagement in a level six undergraduate computing module teaching game production. The framework was applied to the same module over two consecutive years: a control year and a trial year. In both years the tutor, assignments and assessment strategies were the same and daily attendance was recorded. In the module, students work in multi-disciplinary teams to complete an assignment to build a computer game prototype. Unequal contribution to team projects by other students is a frequently voiced complaint to lecturers setting team assignments: a problem which is only partially solved by peer assessments, which are a retrospective analysis. The gamification framework provides a method for the lecturer to quickly identify disengaging students and to re-motivate them. Partnership between student and teacher, both parties must present themselves in order for that exchange of knowledge to take place. If unequal team contribution is a constant problem for students, then empty lecture halls can be considered similarly difficult for educators. This paper addresses three key points: 1) Does the rewards/penalties framework improve attendance? 2) If yes, does improved attendance result in improved assessments? 3) Does the framework improve engagement and performance in student teams? This paper presents quantitative evidence to answer the first two and offers speculative comments on the third. Initial results suggest that the rewards and penalties framework improves attendance and increases student performance and overall grade. Speculatively, the framework appears to be effective in increasing motivation. Informal student commentary indicates that while motivation is not improved across the cohort, those that are motivated contribute significantly more time and effort to the project. Rewards proved successful in improving completion of previously resisted tasks and in attracting students to attend classes they would otherwise miss. Gamification (noun) is defined as: ‘the application of typical elements of game playing (e.g. point scoring, competition with others, rules of play) to other areas of activity, typically as an online marketing technique to encourage engagement with a product or service: gamification is exciting because it promises to make the hard stuff in life fun.’ Gamify (verb) gamifies, gamifying, gamified (http://oxforddictionaries.com/definition/english/gamification). Games exert a pull on human emotions because their design revolves mainly around the concept of success and failure. 'Games are built on reward structures: win the game and get the prize' (Kapp 2012:89). Reward structures keep players motivated to repeat even boring tasks by appealing to the human need for positive feedback. Upon completion of a task, a player will experience positive emotions. If a reward is given, these good feelings are amplified. The player receives immediate recognition of success: points, awards, power-ups and collectables. Conversely, when players fail they feel negative emotions like stress and anxiety. The player wants to avoid these emotions, but desires to win the reward so he/she plays again. Motivation can be categorised as having two parts: intrinsic and extrinsic (Kapp 2012:93). Intrinsic motivation is primarily driven from within the learner, while extrinsic motivation is a result of external stimulus. Awards motivate intrinsically by stimulating the desire to win, penalties motivate extrinsically through introducing an externally applied punishment. Students demonstrated statistically significant higher levels of intrinsic motivation in the game-based environment (Vos, Meijden, & Dennessen 2010). ‘Gamification’ harnesses the reward and penalty game mechanics and applies it to real-world problems. Gamification techniques are increasingly being used by businesses across commercial sectors to increase customer engagement with their brands. Other businesses, such as telephone sales, have long been using gamification to increase staff motivation through competitions for highest sales and offering prizes such as a holiday abroad for the best salesperson. In recent years, however game-thinking has been defined as the most important part of gamification: 'thinking about an everyday experience...and converting it into an activity that has elements of competition, cooperation, exploration and storytelling' (Kapp 2012:11). At the core of most computer games is a system of rewards and penalties designed to continuously challenge the player with increasingly complex tasks, and to offer enough rewards to keep him/her engaged despite repeated failure. Computer games are unique in their ability to keep players motivated even when losing by providing an instant opportunity to try again and possibly win. Gambling operates on similar principles. Games operate on our human desire to compete and to be recognised for our achievements. Winning plays to the human need to be competent and in control of a situation. Bells ring and whistles blow when the player passes a level, a score is displayed and perhaps a map, or a new item has been earned. The player has reached his goal, climbed his mountain. Conversely, when the player fails the level, he/she is instantly offered the chance to play again, thereby shortening the time spent in failure mode.